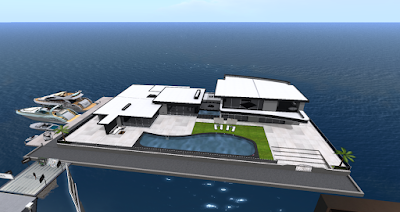 When it comes to luxury living in Second Life, there is one company that stands out; BBX Design. Living like a Lindenaire is achievable for those who have found their niche in Second Life. Many wealthy avatars want high detail and craftsmanship along with customer service they can count on. Aymec Millet has mastered what the elite of Second Life want with his attention to detail, his use of high quality mesh textures and all the perks that the rich and famous in the real world would want. The SL Enquirer is a big fan BBX Design. We have hosted celebrity style events aboard the Super Yacht Club complete with a fabulous red carpet entrance, live concerts, SLebrity guests and giveaways that would put the average venue party to shame. BBX Design Yachts are extraordinary with features like a helicopter landing pad so you can arrive in style at your very own SLebrity parties. Imagine you are dressed to impress stepping on deck with champagne in hand. Your guests will marvel at your presence. Raise your glass and toast to the good life as you welcome them to enjoy the luxurious atmosphere aboard your floating paradise. Show them what it is like to live SLife to the fullest by encouraging them to freely tour your yacht. Let the live entertainment create the atmosphere as you surround yourself with colleagues, business partners, associates and clients for networking conferences. If you want to break away from business and enjoy some leisure time, gather your friends for a movie night in your fully loaded theater room. Impress a love interest with fine dining in your private classy lounge or just sit back, relax and watch the sunset as you enjoy your second life like a true Lindenaire. After a nice yacht experience imagine retreating back to your mansion with the same attention to high end detail, you can continue living it up with all the amenities one would find living the elite lifestyle. Bask in your success as you walk through the threshold of your private headquarters with views of your beautiful beachfront property where your collection of cars sit displayed in your driveway and your Yacht and watercrafts waiting for you to play with them again. Are you in the mood to entertain guests in the comfort of your home? Invite your friends and neighbors over for a couple drinks poolside as your personal DJ and chef provide a top notch experience that would make you the talk of the town. Don’t just imagine it. Make it happen! The SL Enquirer sat down with Aymec Millet to learn more about BBX Design and what inspires the details he puts into his Yachts and Mansions. Lanai: Hi Aymec it is a pleasure to meet you. 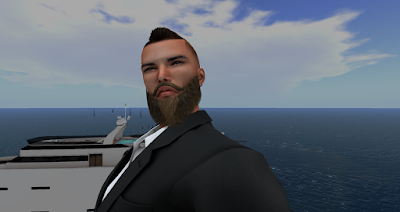 I am delighted to be interviewing you and just wanted to say I absolutely love the Super Yacht Club and had plenty of successful SLebrity style parties and events on it. I am thrilled to be the proud owner of several yachts and mansions in your 2016 collection, in particular the latest version of the Super Yacht Club v4.0. Wow what a creation! Can you share with our readers how long you have been in business, what BBX Design stands for and what they can expect from your luxury creations? Aymec: Hello , I am very honored and nice to meet you too ! When I started my creations in March of 2012 , I never saw any party boat in second life. I started making big party boat and big cruise ships for parties because Second life has a large ocean and boats are very important. I also noticed that people loved party boats. My goal for BBX Designs & Yachts is to continue to make LUXURY and REALISTIC models and not just for yachts. I also create boats , clubs , homes , stores , buildings , cities and more. Also, full support for each customer always. That is very important. 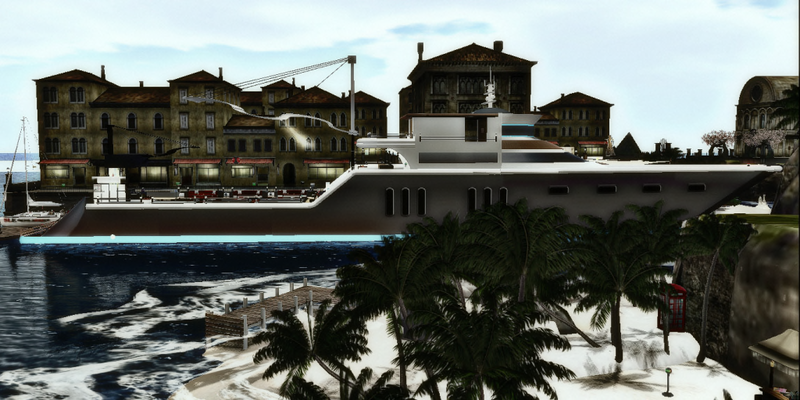 BBX Friends will soon get Super Luxury Drivable and Static Big Party Yachts and super realistic houses and cities coming soon too. The BBX Design team is working hard on those new products as we speak. Lanai: The detail you put into your yachts and mansions are awe inspiring. Where do you get your inspiration? Aymec: From 2012-2014 I worked by myself. But after 2014 I created nice team and we are %200 better now. The BBX Design team is like a family. There are co-creators that work hard together. Together we work faster, include more detailed realistic work. This is only possible with a dedicated team. We have creators , scripters and managers and everyone does their part. I think it shows in the products we sell. Our medium size yachts is a hot item that sells great because they are so nice with features like HD quality and resolutions. We look at customers reviews. If they need something specials, we make it. We also look at real life yachts and homes for inspiration for our new models. We really do work hard and nonstop to come up with new ideas for our products. Lanai: Do all of your Luxury items come fully loaded with furniture and animations? If so, what items are included? Aymec: We include fully furnished houses, yachts, clubs and more in selling contents and always with full support. Our 2016 New homes models include fully furnished , low furnished , un furnished models so our customers have options. We use clean textures too. The fully furnished houses include animations and poses as well. Some models have extra perks like yachts and cars in packs. For example, the newest homes included all of the above and aircraft too! Lanai: BBX Design is in a league of its own. Aside from the layouts, the amenities are fantastic! 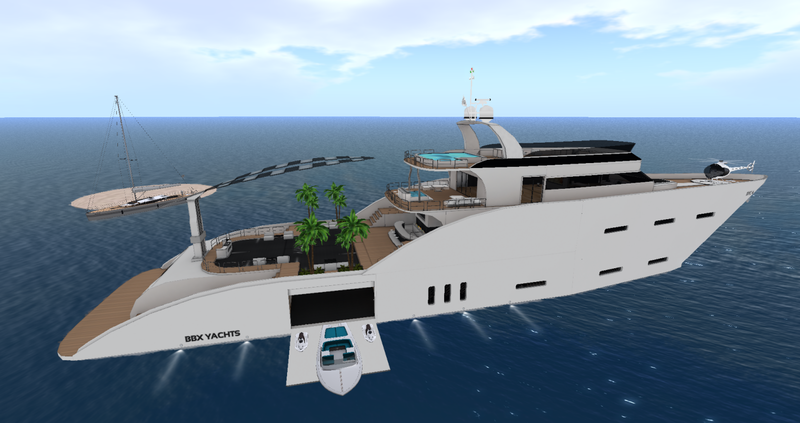 Can you share some of the perks that luxury seekers won’t find included with other yachts and mansions sold in second Life? 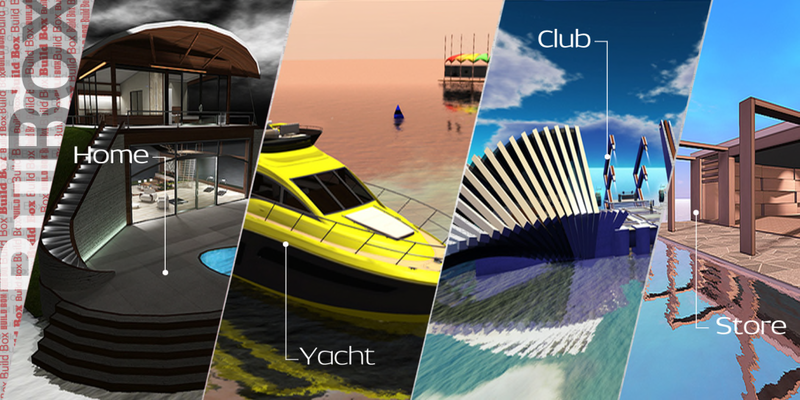 Aymec: Second life has tons of yachts, boats, homes, buildings and more. I’ve seen lots of realistic models but second life creators use low resolution items generally. If you zoom in on BBX yachts or homes you can see LOW land IMPACT and HIGH Resolutions. Low Prim – High Details High LOD – very important. Lanai: besides Yachts and Mansions, do you create other luxury items? Aymec: I am happy you are asking me about luxury items because BBX Design only creates luxurious things. Yes, all our yachts and buildings very luxury. But we are trying concept models. For example the SILENT Home model is very natural. It is a concept home that is warm and cozy , low prim and very realistic. We are currently making clubs, stores and cities too with great features. Lanai: Two of the important things that buyers look for are sizes and prims when deciding what would work for them. Can you share with our readers the various options for your most popular models? Aymec: My Post Popular Models are low prim and high quality Plus the Animations are very important. So together, Price , Prim , and Size is a combinations that is important. For Yachts, the top selling models are VEN, Piranha, Taty, Princess , QUEEN , MTR A4 and MTR A2. For Homes it is HEAVEN , Calm , Xuri , and the Silent Home Sold nice too. The best way to check out our selection is our marketplace page. Search ‘’ NEW ‘’and customers can see how we developed. Lanai: Are your yachts stationary or they sailable? Aymec: Both. Big yachts +64 meters can’t be drivable because if you create objects, you can see maximum object size is 64x64x64 … So QUEEN is the biggest drivable yacht that we have. Also, maximum link distance for second life is 52 meters . You can't link 52 meters or more. Drivable yachts or boats are 20-50 meters. They are better for control. The big yachts or boats can't be drivable . But you know, I added drivable extras on it FOR FUN and PARTIES! 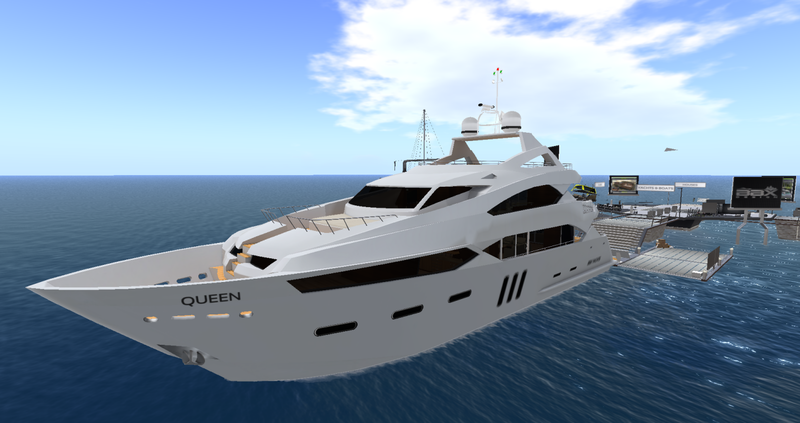 Second Life needs more events on yachts. We will make the Super Yacht CLUB V5 in 2017 and The MTR A5 model will be AWESOME! Lanai: Great, I cannot wait to see it! So, Do you have any suggestions for people who are shopping for a luxury living experience? You can make different combinations. Pick what is best for you! Please IM me before or after your purchase for full support . Lanai: Customer Support is very important in Second Life. Do you have a specific support portal or group people can join for BBX creation? Aymec: This is best important thing for me. since 2012 , I’ve sent the super and big gift packs to each customer . I respond to all IM’s. If there are any problems. I solve it in one day. I also help with extras. Some of my customers need flags or names for their yachts . I make and send them textures, usually in about 5 minutes. Also, if someone needs different colors. I can do that too but it takes a little more time. But 99% of BBX design customers are happy because of gift packs +25 items and full support for each one . I also have +2500 friends because I am very friendly and I give discounts! Also, HAPPY FRIDAYS means more discounts! Everybody needs to own a house and yacht. I help with that. Lanai: Aymec, keep doing what you do. Not only are you very talented but you really do care about your customers needs. Thank you for taking the time to chat with me about BBX Design. Is there anything else you would you would like to share with our readers and what’s in store for your 2017 collection? Aymec: Thank you for the chat. I am very honored! One last thing, we are going to make a DREAM HOUSE. It will probably be the best BBX House yet and will be one of the top 10 homes in second life . Features will include 8192 sqm , ULTRA HD details , and super extras. Just imagine, a house with yachts , boats , vehicles , pools , docks , helicopters, bedrooms , party areas ,effects , rooms , bars , garages , palms , and all on hills. It will be awesome. Also, we are going to make a SAILBOAT Series , SLB A1 and SLB A2 are finished .. now SLB A3 and SLB A4 are in the works. Also, MTR A1 A2 A3 A4 are Finished , and MTR A5 Will come! Plus Super Yacht Club V5.0. Plus extra speedboats , smart homes and more buildings ..
Let’s me just say, get ready for 2017! I am so honored !